Why… Hello there internet. It seems that we have not seen each other in quite some time. I have been away, whisking myself in the magic that this city holds. Actually, in all honesty, I have just been busy and tired by the end of the day. It is that time of year when everything just feels like a drag and plans for the holidays are FAR MORE EXCITING than actual life at the moment (ummm… my holiday plans include Dublin, Paris and Madrid. BEST WINTER BREAK EVER). Shows, like The Newsroom, are back in session and have me crying because I have to say goodbye to some of my favorite characters on television (it is on its third and final season). So again, I apologize for my weeks absence. In better news… I was able to fit 10 people in my tiny little Parisian studio! It was a great night and I want to thank all the girls who came out and brought a dish. It was such a fun night, full of drinking, eating and great conversations. I wanted to take a picture of all of us, but between setting up dishes and talking, I totally forgot. I was saddened when girls started leaving and I realized that no picture had been taken (I now know for next time). I am so happy that I am surrounded by these wonderful women, who come from all different backgrounds and with different stories. They have opened my eyes to the world and I could not thank them enough for being there for me through some hard times in Paris. 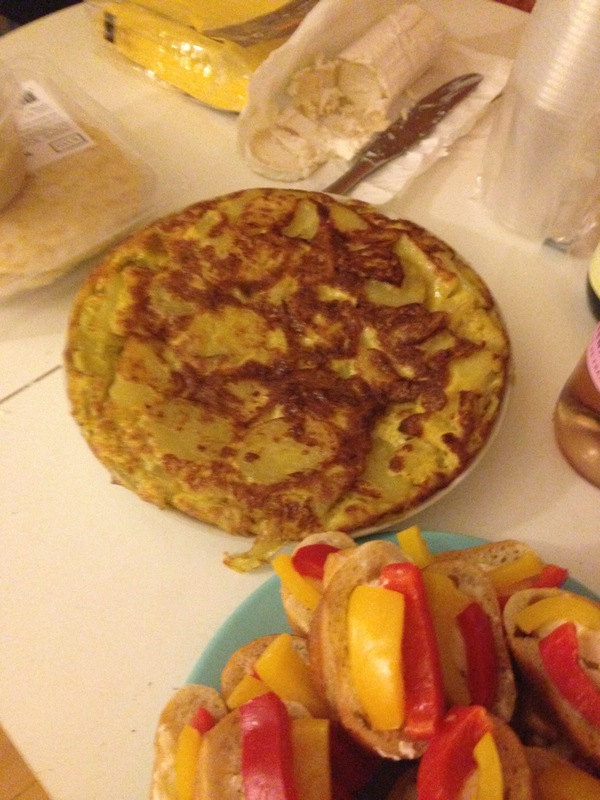 It was quite the adventure making my dish, a tortilla de patata, one of Spain’s national dishes. The ingredients, in itself, are not that difficult. All it really takes are potatoes, onion, eggs and olive oil. The difficult part is flipping it once the ingredients are mixed in the pan and cooking. Thank you mom for sending me the recipe and explaining how it is made. It did not come out to be as delicious as yours but it was still yummy (nothing will ever really beat your cooking though). After a little bit of an adventure, with a friend helping me try to flip the tortilla and trying to make sure I did not burn her or me with hot oil, I made it! It came out right and was good, but not as good as my mother’s (nothing beats mom’s cooking, but that is a given). I am also no cook… But this inspired me to start giving serious cooking a try! (I mean… I survive off of pasta, meat, salads that I throw lots of vegetables into, fruits and lots of chocolate). 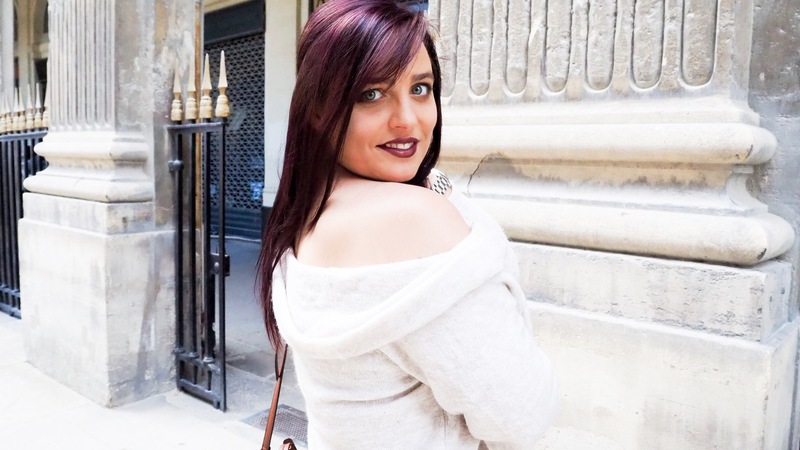 Nice meals would be nice again, so this is to another new beginning here in France, Chef Veronica!